This acupressure "pillow" sends pleasant ripples through your body. See you later, sore muscles. After a long run or intense yoga class we're laying back into this nifty little "pillow" of prickles. 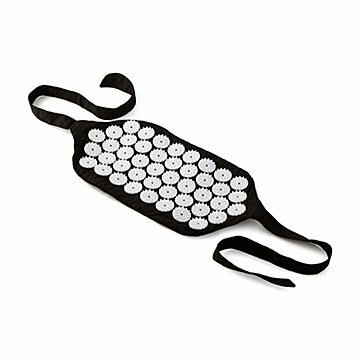 It's designed to help you unwind after a workout (or stressful day) by pushing into your body's pressure points. Place it prickle-side-up on your neck or back and gently lean into it. It's soothing as all get out, and makes a great gift for a friend who could use a little relaxation time. Made in China. Simply brush with detergent, rinse and hang dry. Bought this for my gram as a Christmas present. It got a good laugh when she opened it because of the name but it also got a very pleasing "I love it!" after she tried it out.